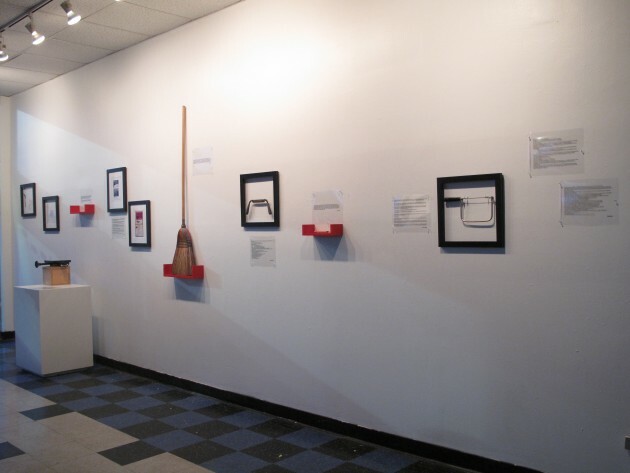 On May 8, 2014, the Tools exhibit took place at the Big Car Service Center. This piece is by Matt Miller. My tool opens people up to the world. It makes learning possible that could never be possible otherwise. It’s inexpensive, but what comes out of it is priceless and invaluable. I’m a high school Spanish teacher in west-central Indiana. My job is to equip students to communicate with people in different parts of the world – or in their own backyards – through language. There’s a lot you can learn about language in the classroom, but there are certain aspects that could never happen within the four walls of a school. · How do people from Spain react when you ask them certain questions about themselves? · Are they, as Europeans, naturally shyer or more outgoing? · Are people from different parts of the world inherently very similar or very different? And in what ways? I want my students to learn the basics about the Spanish language, but I want them to have experiences that couldn’t happen here. Unique experiences. Ones that were impossible just a few years ago. So I hand my students webcams. Some you can clip to the top of a laptop. Some sit on a table. Others are embedded in an iPad or other device. Then I use those tools to connect them to the world. This year, my students participated in a virtual cultural exchange program. It included our school, a tiny rural school whose graduating classes could be packed into a single classroom, and a school in Valencia, Spain. Many of my students will rarely leave Indiana in their lives. The idea of international travel will make them laugh. The observation of social norms of other countries that are different from theirs will make some of them squirm or lash out. The only way to get them to experience the world is to get the world to come to them. Students played a Mystery Skype game, where they guessed where in the world the other class was before they were introduced. Later, they separated into groups of four – two from the United States and two from Spain. They asked each other pre-determined questions and then talked about whatever they wanted. They wrote and read each other’s writing, correcting errors and engaging in written conversation. They shared recorded video messages on what their schools were like. They traded quick messages on social media platforms. In a nutshell, they were teenagers. They acted normal. But they hung out with each other virtually. Thousands of miles and an ocean apart. What did they get out of it? More than the grammar corrections and new vocabulary. They learned that people from other cultures are just like them in many ways. They learned that language is a barrier that can be crossed or even destroyed. Many teachers choose textbooks as their tools. Many use worksheets, paper, lectures. I could choose a red pen for my main tool as a language teacher. I choose a webcam instead. And so do my students. Because we did, they’re learning about more than verb conjugations and present participles. They’re learning about the world.